Over 23 Years of Internet Experience and innovation! MilwaukeeColo.com is a fast growing firm specializing in Colocation and IT hosting solutions. With products that range from managed dedicated servers to Virtual Private Servers (VPS) to Colocation, our extensive portfolio gives us the ability to maintain a competitive edge and consistently meet the unique requirements of our clients. Our expertise in the IT and hosting services are among the qualities that enable us to ensure long lasting success. We specialize in providing shared hosting services, managed/dedicated servers, spam/virus filtering, offsite data backup, T1/Fiber Internet Connections and collocation for critical business systems world wide. Our main datacenter is located in Milwaukee, WI and is wired right into the internet backbone with BGP routing and multiple bandwidth providers, ensuring the fastest possible connection speeds for all our customers. The mission of MilwaukeeColo.com is simple: to provide our customers with cost effective managed hosting solutions that allow them to focus on the core aspects of their business. From 1U to half rack to full 48U cabinets to business-class email solutions, we have a package and proven strategy designed help you meet your goals, no matter how simple or complex they may be. With dedicated support provided by our knowledgeable customer service agents and technicians, you can count on us to walk with you every step of the way on the path to success. Some firms specialize in hosting, some lend their talents to colocation, and others limit their activities to email hosting. MilwaukeeColo.com offers the most highly demand solutions under one roof to cater to customers with wide ranging requirements. 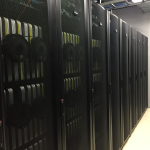 Whether you need to colo a single server, half rack, Full 48U cabinet or multiple cabinets, feel free to get in touch and find out how we can help with your colocation needs. 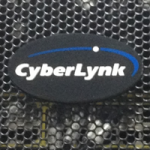 Servers Not Overloaded – CyberLynk will never oversell a server like other providers. Our servers are built for speed and reliability. Been in business for over 23 years – CyberLynk has a proven track record of growth and innovation since we opened our door’s in 1995. 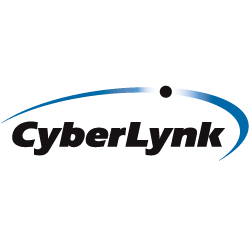 Privately held CyberLynk continues to grow through a solid business and acquisitions of other Internet related companies. Powered by our parent company CyberLynk, The Milwaukee Colo Network is an equally important component in our infrastructure. We run the best breed of Cisco routers, which leverage BGP routing technology to ensure that your data travels the smartest and fastest route possible across the network. Additionally, internet backbone support provided by Tier-1 bandwidth carriers guarantee unrivaled speed and performance to support your hosting needs. All of our colocation customers have either a 100Mbps, 1Gbps or 10Gbps Ethernet/Fiber connection to the network we've built over the past 23 years with unmatched speed and network performance. 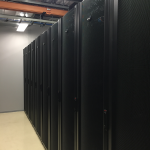 Located in Milwaukee, Wisconsin, our main data center is optimized to provide a secure environment for our loyal clients. 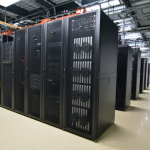 We store data on top of the line server hardware and utilize the most powerful software systems available, giving our customers the full benefit of cutting edge technology. The facility is equipped with two power feeds, UPS systems and backup generators to combat service interruptions and guarantee continuity. To top it off, our Milwaukee data center is complete with manned security personnel to make sure that your investment is protected. 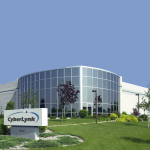 CyberLynk’s Phoenix Datacenter is a state of the art facility and heavily secured. Phoenix is one of the safest-from-natural-disaster cities in the United States, the likelihood of environmental calamities like hurricanes, tornadoes and earthquakes in Phoenix is minimal to non-existent. MilwaukeeColo.com is a brand operated by CyberLynk.net. 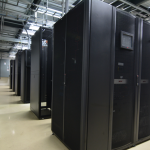 Colocation is just one of the many services we offer via our two datacenters.